Paula Liguori has been a certified 200 hour Kripalu yoga teacher since 2011 & will complete 300 hour training in 2018. She’s been practicing yoga formally since 2000, but intuitively most of her life. Paula completed yoga for cancer training with Tari Prinster in 2014 and Thai yoga massage training at Sivananda in 2016. Paula believes in the healing power of yoga; including breath work, meditation, diet, ayervadic practices, acupressure and deep relaxation, on the body, mind & spirit, when done with loving kindness. A great compliment to Paula’s yoga practice is her connection to the natural world. She likes dirt & growing stuff, including flowers, much of the food she eats, and huge Christmas trees. 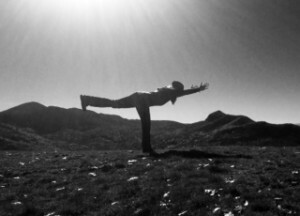 She likes hiking, biking, kayaking, snowshoeing, painting & photographing natural scenes & just laying in the grass watching the clouds or the stars, with family, friends, her dog and alone, these are her yoga practices off the mat. The most valuable yoga skill she practices is choosing to pause and respond mindfully to life instead of being reactive. Reducing reactivity creates space to process a situation and allows for time to breathe, relax, feel, watch and allow, and this is a core process in the Kripalu yoga lineage. Paula practices setting intentions & allows these intentions to inspire her.